This book is all about identity. 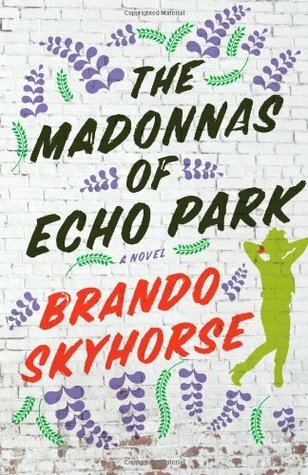 It relates the stories of several Mexican immigrants and its second generation as they try to live the American Dream around the Echo Park area in the city of Los Angeles. As with other ethnic groups within Los Angeles, they see themselves as Americans but also set apart from others by their Mexican background and culture. Holding on to their Mexican heritage, integration between ethnic groups is a slow and hesitant process that continues to be a struggle even for the second generation, often accompanied by feelings of a loss of identity and belonging. Another recurring theme within this patchwork of stories is the lack of family cohesion. Children grow up without their fathers, often even unaware of who their father is. Mothers are forced to abandon children in an effort to escape the poverty trap. Instead of a family, the community takes on the role of parents, which explains in part the close knit structure of these communities. As prosperity also reaches these immigrants and the face of the neighbourhood changes, their communities change too, perhaps not into the American Dream as once hoped for, but into something that is American nonetheless. While all this takes place in the background we meet an older Mexican going through the daily humiliation trying to find a day’s work waiting to be picked out in a carpark. We meet his wife and his daughter as they all drift apart and struggle with their own financial troubles and relationships. We meet their friends, their lives mingle and touch but never quite seem to overlap, just like a patchwork quilt. Their choices both exasperate and touch but always evolve around the area of Echo Park. It’s like the bigger the country, the less people will travel. Each of these people get their own voice within the book. They tell their own story and we get different accounts of shared experiences. This is what gives the book its cohesion and warmth. Their voices ring true and they sketch a warm, vivid and sometimes ugly picture of what it is to live as an (il)legal Mexican in Los Angeles, both decades ago and in the present day. As with some sketches, it leaves vague edges and some of the characters blend together but what remains is a strong tale of people who try to find a balance between holding onto their heritage and finding their own place within the melting pot of American society.